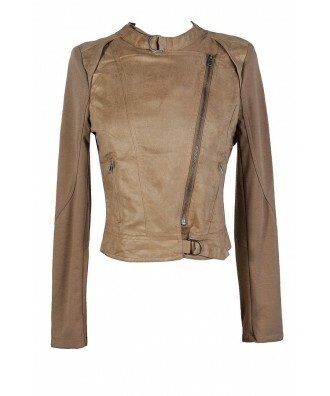 You have added Easily Suede Faux Leather Moto Jacket in Taupe into shopping cart. 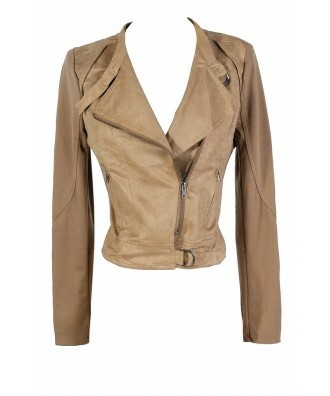 You won't need to be persuaded to wear this cute faux leather jacket--it will instantly punch up anything in your wardrobe! 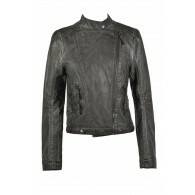 The Easily Suede Faux Leather Moto Jacket is made of a soft faux suede material at the bodice. 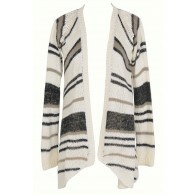 The sleeves are made of a stretchy knit. 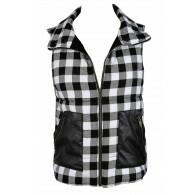 It has a crossover front zip design and a zip pocket on each side. 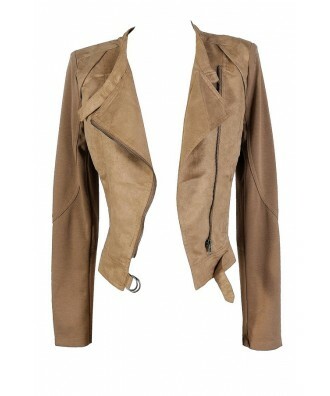 A zipper on each sleeve adds an edgy touch. We love the slightly cropped cut of this jacket that creates a flattering look when worn over a tank or fitted top, denim, and boots. 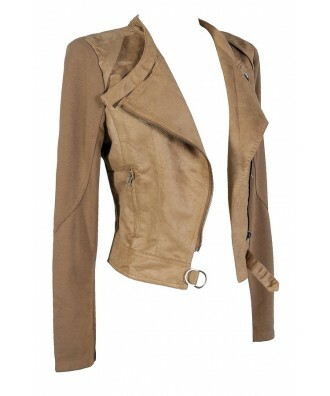 You can wear this jacket over nearly anything in your closet and instantly look polished and put-together. Details: Exposed front zipper. 70% cotton, 30% polyester. Lining: 100% polyester. Faux leather. Dry clean only. Small measurements: Length from top of shoulder to hemline: 19.5". 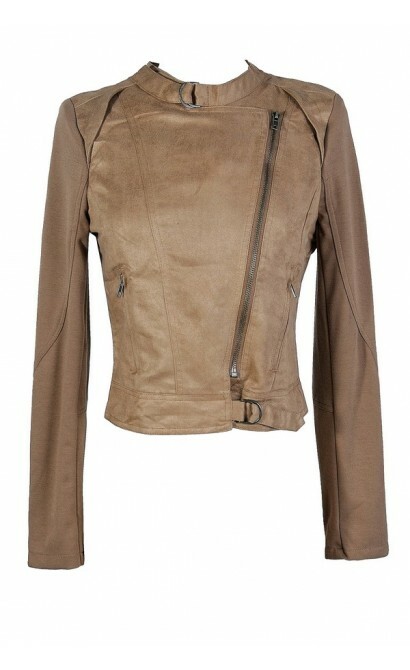 You have added Easily Suede Faux Leather Moto Jacket in Taupe into Wishlist. 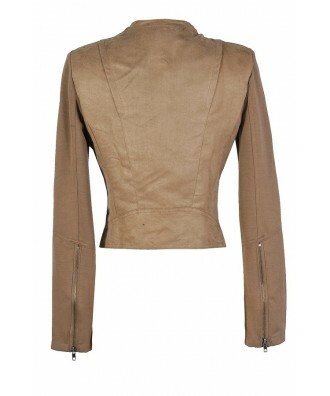 You have added Easily Suede Faux Leather Moto Jacket in Taupe for Stock Notification. 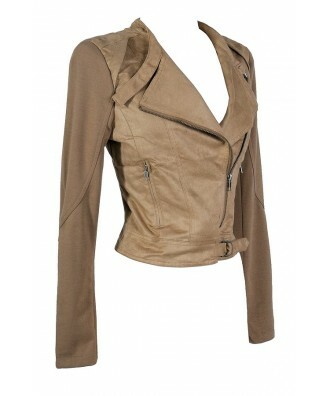 You have set Easily Suede Faux Leather Moto Jacket in Taupe as a loved product. 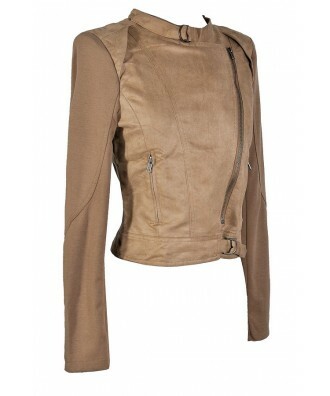 You have removed Easily Suede Faux Leather Moto Jacket in Taupe as a loved product.